To celebrate my current Walt Disney World adventure, I thought it was fitting to count down my Top 10 Disney animated films for you. Do you agree with my choices? Which movies make your list? This is the movie that made me a “dog person.” Lady is such an adorable dog, but what has always amazed me is the grace and poise the animators were able to bring to life in an animal. She’s every bit as ladylike as any Disney princess, and she’s the kind of dog I dreamed of having as a young girl (and still dream of having today). 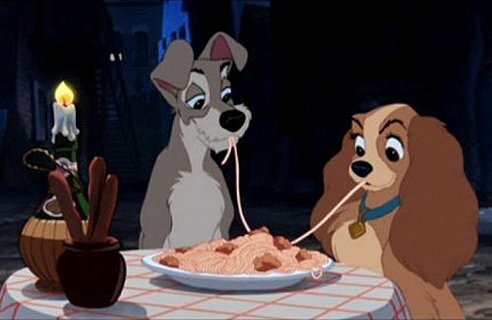 Also, no mention of this film would be complete without recognizing the famous “spaghetti scene.” It’s a gorgeously romantic moment between two dogs—if that’s not Disney magic at its finest, then I don’t know what is. The Little Mermaid may have the best soundtrack of any Disney film: the catchy “Under the Sea,” the smooth “Kiss the Girl,” the powerful “Poor Unfortunate Souls,” and, of course, the stirring “Part of Your World.” That song never fails to give me goose bumps, and the image of Ariel ending its reprise on that rock, with a wave crashing behind her, will always be one of my favorite Disney movie moments. Maybe it’s because I love any and all versions of the Robin Hood story. Maybe it’s because I’m a sucker for a classic romance. Or maybe it’s because I love really cute animated animals. No matter the reason, I fell in love with this underrated Disney classic a long time ago, and it continues to be a movie that always puts a smile on my face. 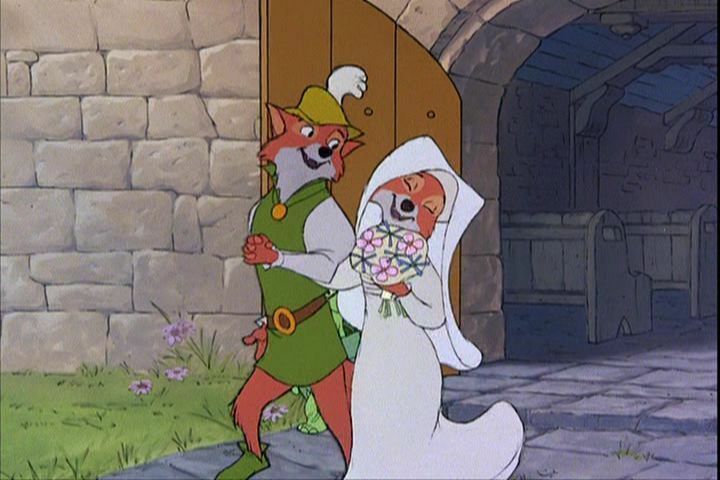 Is it weird that this version of the Robin Hood/Maid Marian story is my favorite? Probably, but that’s what happens when you give British accents to adorable cartoon foxes. 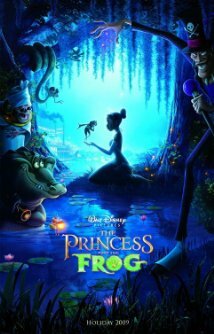 Featuring a career-driven princess, a prince with loads of personality, and an inventive twist on a classic fairytale, this movie instantly became one of my favorites when I first saw it in in the theater. Tiana is the Disney princess I admire the most, and she’s the princess I can relate to the most. I’m always sad to hear people dismiss this movie because I think it has all the elements of a classic Disney film: strong characters (especially a fun cast of supporting characters), a devilishly charismatic villain, a great love story, and a soundtrack I find myself humming after each viewing. I love watching this movie after long periods away from it and remembering just how much fun it is. It’s one of the funniest Disney movies—thanks in no small part to Robin Williams’s brilliant work as Genie—and it’s one of the most action-packed. The entire Cave of Wonders sequence is fantastic, and that adrenaline rush is nicely balanced later on with the romantic whirlwind that is the entire “A Whole New World” scene. For as much love as I’ve given the Disney princesses on this list, it should be mentioned that Aladdin is one of the best leading men the studio has ever introduced to audiences. Mulan is—without a doubt—Disney’s most inspiring animated film, especially for young women. From a feminist perspective, it’s so rewarding to see a Disney heroine take an active role in her world beyond simply finding a man, to see a woman be a hero not just for herself or her family but her entire country. And yes, she may win the affections of a man, but it’s for more than just her looks—it’s for her courage, strength, and determination. In addition to the feminist importance of Mulan, this movie also features Eddie Murphy’s hilarious turn as Mushu, a great soundtrack (“I’ll Make a Man Out of You” is such a great song), and one of the most powerful scenes in Disney film history (the gorgeous, wordless sequence of Mulan preparing to run away). It’s a Shakespearean drama—with lions! What might have sounded crazy at first is actually the most thematically complex and deep Disney movie ever made. 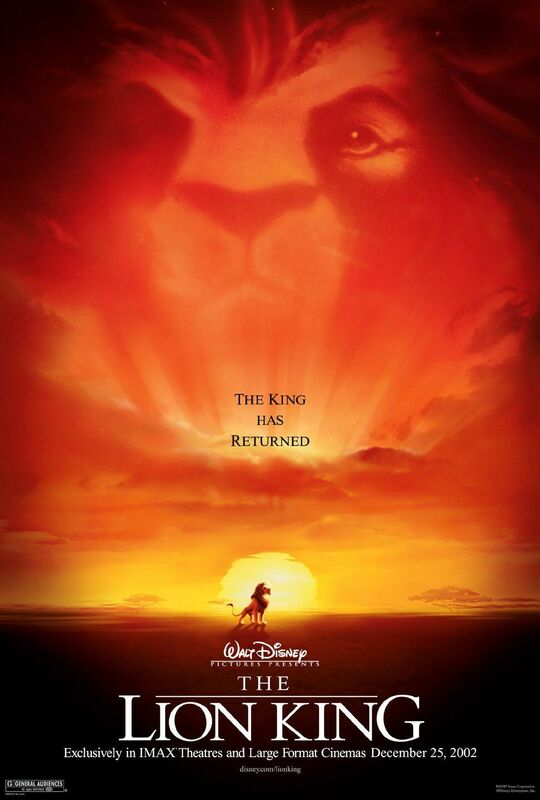 Scar is Disney’s best and most chilling villain, and Simba has the best character arc of any Disney hero. The animation in this film is stunning, as is its music. And it contains some of the most moving moments in any Disney film: the stirring opening set to “The Circle of Life,” the horribly tense stampede scene and its heartbreaking aftermath, and Simba’s triumphant ascent to his rightful place on Pride Rock. Tangled just makes me happy. 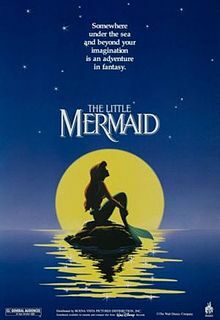 It’s a movie that I think I actually like more because I discovered it as an adult and ended up being surprised by how much it was able to move and inspire me by channeling all of the best Disney films that came before it. There’s something truly magical about being reminded of the hope and happiness Disney can spread once you become a grownup. Watching both the beautiful “I See the Light” scene and the emotionally powerful climax, I was stunned by the way animation can still give me goose bumps and put tears in my eyes decades after I saw my first Disney film. This is one of those rare movies I could watch again and again and find new things to love, but one thing will always stand out above the rest—and that’s the near-perfect character of Flynn Rider. For as sweet and surprisingly spunky as Rapunzel is, Flynn brings the charm and wit that sets this film apart from the pack. You never forget your first. 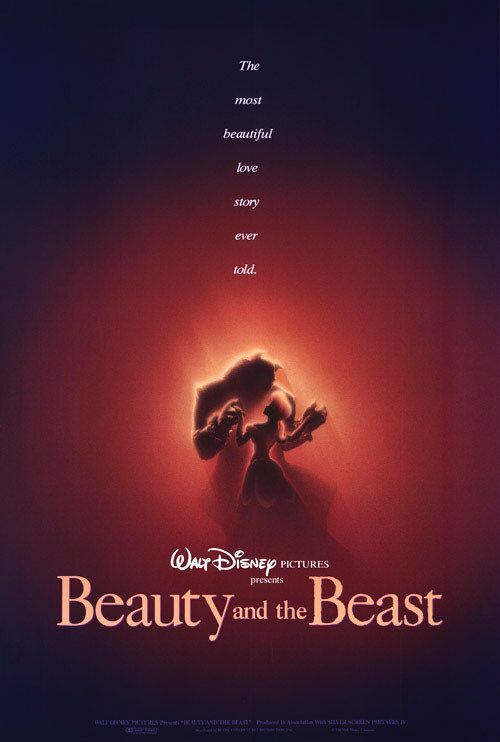 Beauty and the Beast wasn’t just the first Disney movie I saw at a movie theater; it was the first of any kind of movie I ever saw at a movie theater. I remember watching the ballroom scene for the first time and feeling like I was in a different world, and that scene still fills me with a kind of wonder no other movie could ever hope to inspire in my heart. Even beyond the emotional attachment I have to this movie, it’s such a strong film. From the opening strains of “Belle” (quite possibly the greatest opening number to any musical—stage or screen) to the impressive animation of Beast’s transformation at the very end, this film is both a visual and aural masterpiece. Each musical number is captivating, and each character is given a personality and charm all their own. Also, Belle will always be the Disney princess for brunette bookworms like myself. (The library scene is my very definition of the perfect gift.) When she runs through that field, singing about wanting “so much more than they’ve got planned,” there’s something so personal and yet so universal about that moment. It’s my favorite scene in any Disney movie, and it’s just one of many breathtaking moments in this film. This entry was posted in Disney, Film and tagged disney, film, genre: animated, lists, nerd musings by Katie. Bookmark the permalink. This movie makes me cry every single time I watch it, which just makes me love it even more. The first thing that I love about it is the setting. They did a really good job capturing Hawaii, especially in the dialogue. The second thing I love about it is something I tend to love in my TV shows – it’s all about chosen families. Stitch telling the Grand Councilwoman, “This is my family. I found it, all on my own. It’s little and broken, but still good. Yeah, still good.” is one of the strongest emotional moments in a Disney movie for me. I love this movie for all the reasons you mentioned. Reflection was a really touching song to me at the time because I was so scared to show people who I was for fear of being judged or disliked. Once again, you perfectly explained why I love this movie. I really love the soundtrack to this one – I’ve had Prince Ali stuck in my head for days and I can’t figure out why. I don’t think I’ll ever get tired of this movie. Like you mentioned, it has some fantastically emotional and visually stunning moments and I love that it is Hamlet with lions. I think I mostly love this movie for the puppies. They are just so cute! It’s amazing how we connect our favorites to moments. I remember seeing Beauty and the Beast in the theater and the revolutionary technology it incorporated at the time. It also ushered in the Academy creating a category for animated feature film when it was honored that year with a Best Picture nomination. My life can be told over the course of movies and Disney is a big part of that canon. Here’s my top pics. 9. Hunchback of Notre Dame – Never on anyone’s list and certainly not a ‘kids’ movie given some of the subject matter. However, I love the animation in this film which really builds on what they started with Beauty and the Beast and the score is the best one since Beauty and the Beast. 8. Pocahontas – This one gets a bad rep. because it isn’t historically accurate. I don’t care, Pocahontas is one of the best female characters in the canon. She was independent minded and strong long before some of her counterparts and she is one of the rare leads who doesn’t change from her experiences, but those around her do. 7. Wreck it Ralph – This movie was a great surprise to me. It also plays into my entire video gaming childhood. From the innovative trains movie through a floorboard to the genuinely surprising story this film spoke to everything that was fun about my childhood. 5. 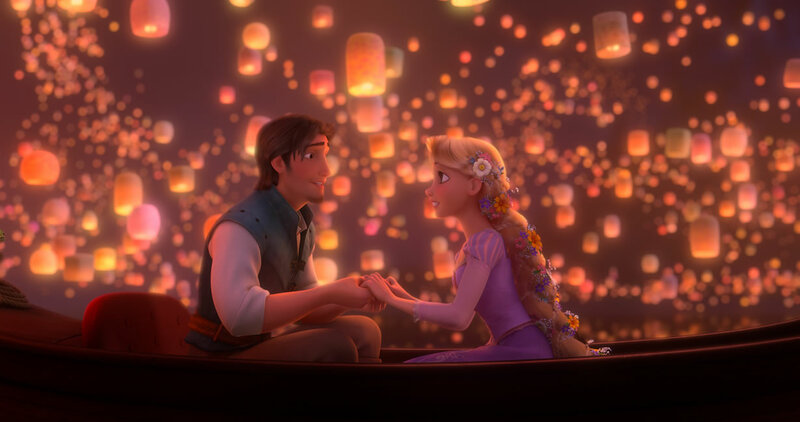 Tangled – Probably the best of the recent Disney mix and visually stunning. It for me comes the closest to Beauty and the Beast in its story, music, characters coming together to form a strong film. It is also a movie I never tire of watching. 4. Beauty and the Beast – This movie is the benchmark of what is possible in animation. Revolutionary and heartfelt Belle is the girl we all secretly want to be. It is a classic that I believe will stand the test of time. 3. Fox and the Hound – My first movie and one of the great Disney buddy films. I adore this sleepy quiet classic. It is less popular than Lady and the Tramp, but for me it has all the heart of Walt Disney. Plus it’s a young Kurt Russell voicing the fox. 2. Sleeping Beauty – My first exposure to what would become the “Disney Princesses” marketing machine was a double feature with The Dark Crystal. I adore this film not because of Aurora, but almost in spite of her. What makes this film great are the feisty hilarious fairies, the sarcasm of Prince Philip and because it has the best villain in Maleficent. 1. Fantasia 2000 – I think the innovation and connectivity to music with image is spectacular. It contains my two favorite pieces of music Rhapsody in Blue with brilliant Hershfeld drawings and Firebird which builds a beautiful storyline that makes me weep every time I see it. Fantasia was a passion project of Walt Disney’s and I think it perfectly displays his enduring legacy – the joy in expressing what’s possible. I also need to give an honorable mention to two movies not technically part of Disney animation, but their affiliate studios – Ponyo is one of my favorites and the first movie I took my daughter to in the theaters. Also, their direct to DVD banner gave us the excellent and visually delightful reimagining of Tinkerbell. As someone who has never liked Peter Pan this series has been a wonder. This is awesome! I love most of these movies, with just a few that I haven’t seen (or haven’t seen in a long while). My favorite as a kid was apparently Aladdin, but my favorite movie as an adult has generally been Beauty and the Beast, though I love Mulan and Tangled quite a bit as well. I think I’ve only seen Robin Hood once or twice, so I’ll have to try that again sometime as I don’t remember anything about it, and I definitely need to rewatch The Little Mermaid at some point because I remember loving but I don’t remember the last time I watched it! Loved your list, I always love talking Disney with people so this was lots of fun! I took a class on Disney movies in college and it definitely changed the way I saw their films, so I’m sure I’ll rank them differently now than I would have pre-senior year. Then again, my list has always been kind of malleable. 1. THE LION KING–This one gets marked up major points for nostalgia; the summer before 6th grade we performed “I Just Can’t Wait to Be King” (and the scene before it) at camp, and I got Zazu because I was the only one to attempt a British accent. So of all the Disney tunes in all the Disney movies, those opening notes will forever give me the deep down happiest feeling 🙂 I also love the depth of it all–learning from your past instead of running from it, accepting responsibility, carrying our loved ones and our systems of morality inside ourselves. It’s just so grand and sweeping. Plus Jeremy Irons has that voice. 2. 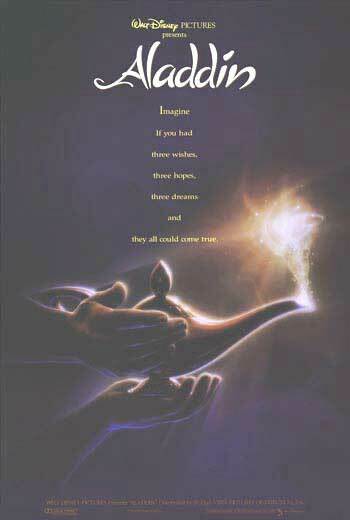 ALADDIN– More nostalgia! (I love how Disney movies are so intimately tied with our lives that we can’t even really look at them objectively. That was actually one of the points we made in that class I took: that even when we take a step back to examine the message a movie is sending, we should never separate ourselves from our personal relationship with the film, because that’s what gives it its power. If we didn’t love them like this, the messages they’re sending wouldn’t matter in the first place.) But anyway, this is the first movie I ever saw in theaters. Ever. My dad informs me that his expectations were wildly low before Gilbert Gottfried and Robin Williams started speaking, and then he wound up loving it. “Friend Like Me” is so fun and rousing, I don’t know of anyone who won’t sing along to “A Whole New World,” Aladdin is a charmer, and Jasmine has all of that sass. This is just a fun one. 3. 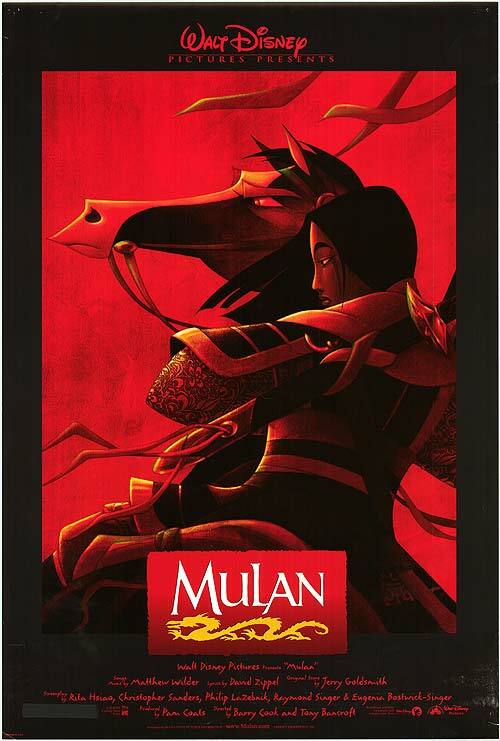 MULAN– That soundtrack! The score is so epic, and, in the case of “I’ll Make a Man Out of You,” almost criminally catchy. Mushu is endlessly quotable (“Dishonor on you! Dishonor on your cow!”) and Mulan saves CHINA so I guess she’s maybe pretty cool and all. And remember the 98 Degrees song in the credits? Does it get any better? I think it does not. 4. POCAHONTAS– This is one that I’ve unfortunately had to take down a peg after the Disney class/ my year in Alaska, because hellooooo slightly problematic depictions of Native Americans/ rewriting history. But it should say something that even after all of that, I just cannot cannot cannot take it out of my top 5. It still gets me. I adored this movie growing up. I fantasized about being Pocahontas whenever I was outside in nature; like I actually think I love nature so much partially because this movie told me to back when I was young and impressionable. This movie made me want to learn about native cultures and have adventures and be best friends with a raccoon. And “Mine Mine Mine” is overall my favorite Disney song EVER. 5. CINDERELLA– Again, nostalgia. 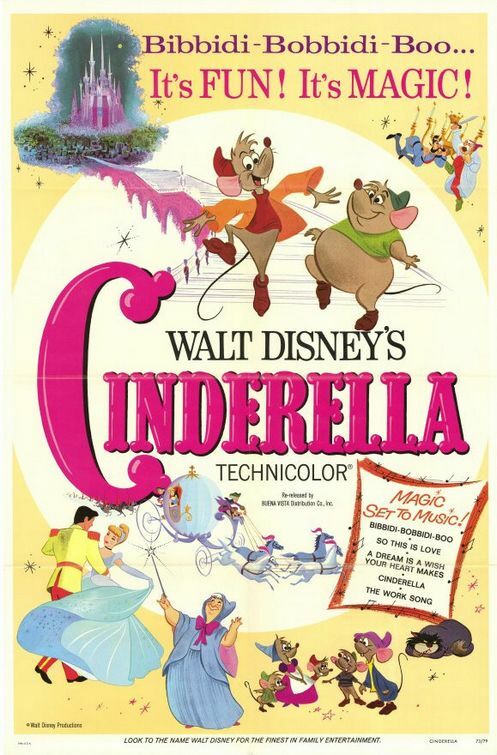 I think this was my first favorite movie; I had Cinderella before I had conscious memories. My mom informs me that I would watch it on end as a little kid, and I haven’t watched it much since then, which only enhances the effect when I do. This movie is the fastest way to take me back to preschool. We also did the Rodgers and Hammerstein version my senior year of high school (I was a stepsister 🙂 ). It was sort of the perfect way to close out my childhood. BEAUTY AND THE BEAST–for giving me the Disney heroine I identified with more than any other. Giant library? I want that. LILO AND STITCH–I don’t know why I don’t own this movie. Heather nailed it; the “yep, still good” speech is one of Disney’s most moving moments. I don’t know if I’d ever cried in a movie theater before that scene came along. Woooo Disney movies! Thanks for the list, Katie!